Enjoy a delightfully sweet-tart, flavorful black currant—without having to worry about white pine blister rust. 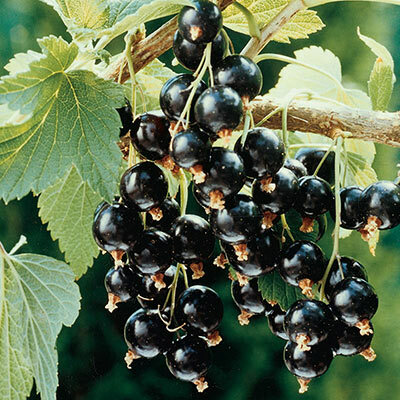 In late summer, Consort produces medium-sized black berries that are high in vitamin C and good for fresh eating, baking, jams and jellies. Grows 3- to 6-ft. tall. Immune to white pine blister rust. Bareroot. Zones 3-7. Light Requirements Prefers full sun but will produce fruit in partial shade. For each offer ordered, get 1 Gallon. Depth: Plant so the roots are below soil level. Firm soil and water well. Sun/Shade: Prefers full sun but will produce fruit in partial shade. 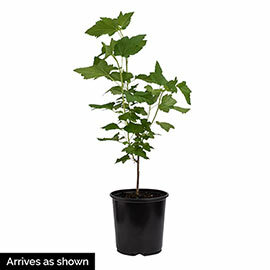 Foliage: Lobed dark green foliage. Blooms: Mid Spring to early Summer. Soil Requirements: Well-drained humus enriched soil. Pruning: Remove dead wood. Prune to rejuvenate new growth. Fruit: Bears abundant, long clusters of beautiful black berries.